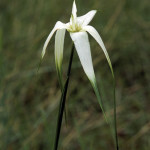 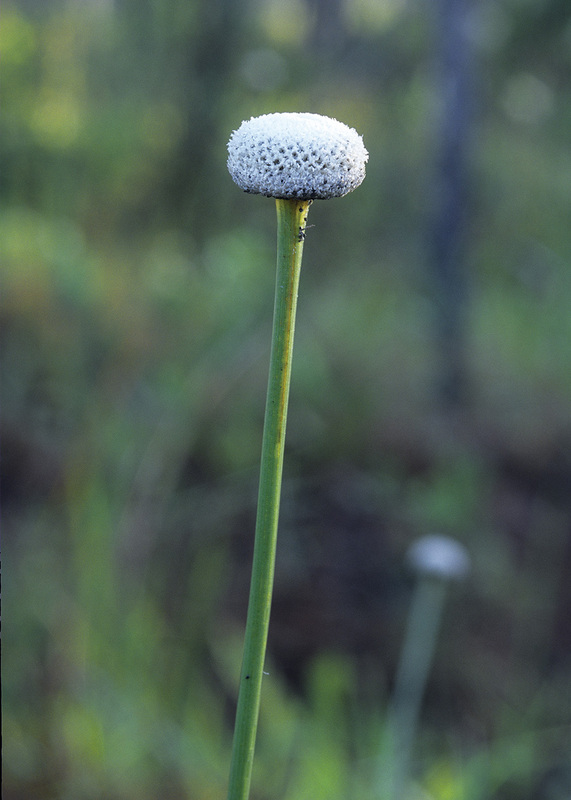 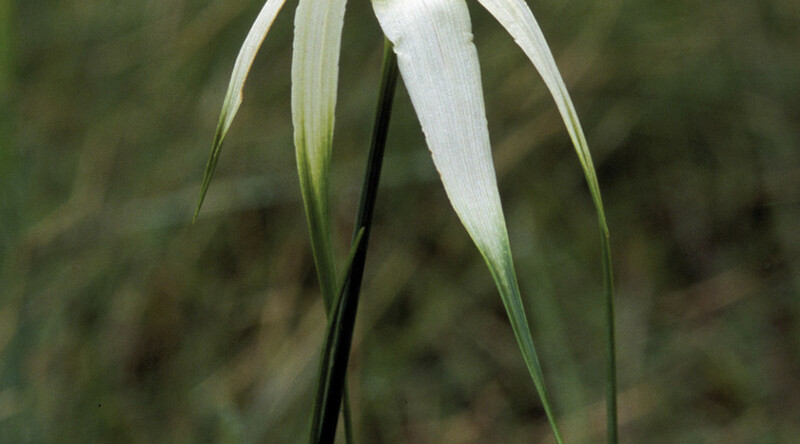 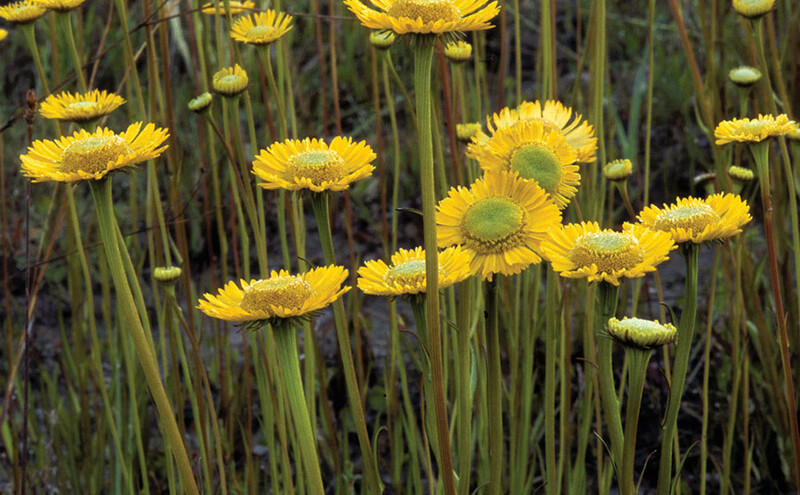 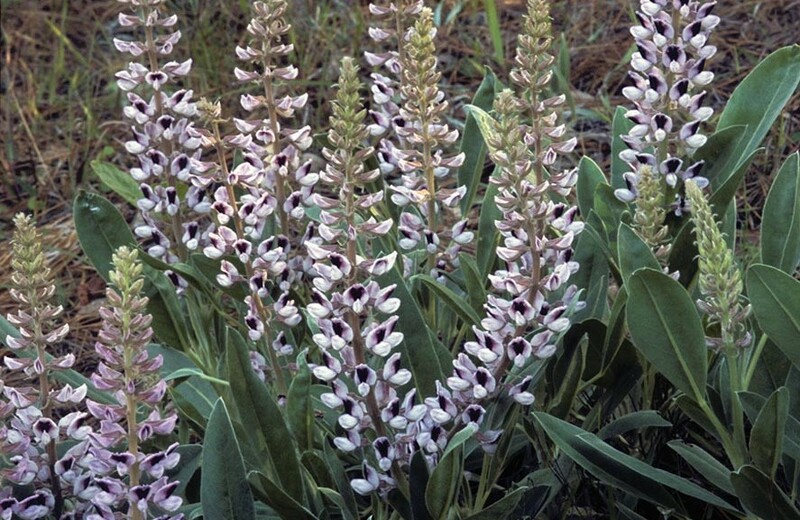 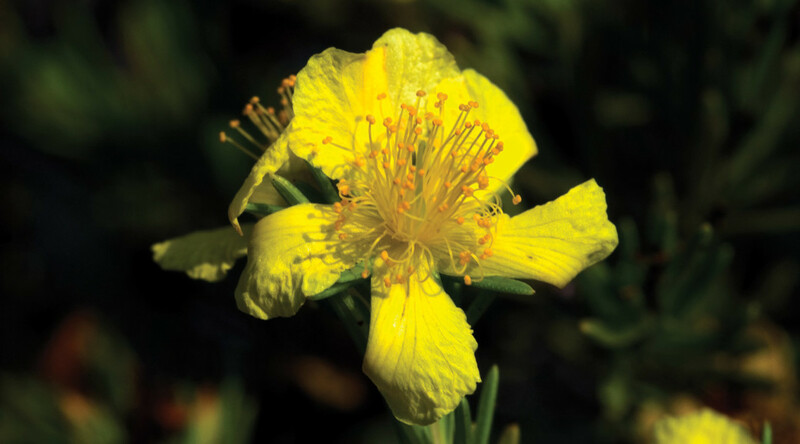 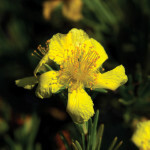 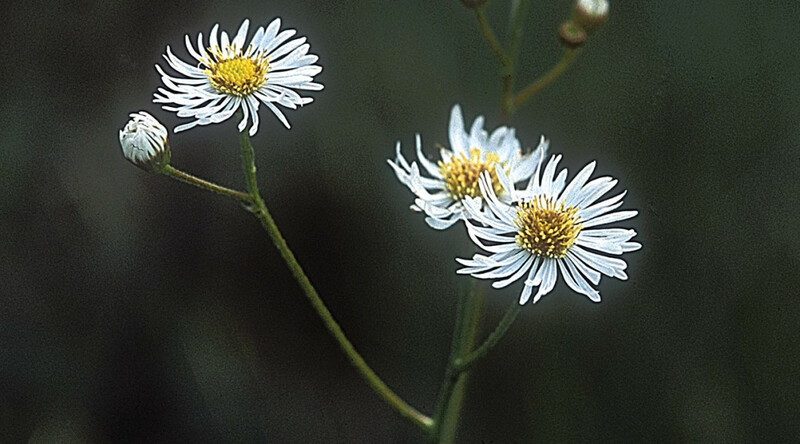 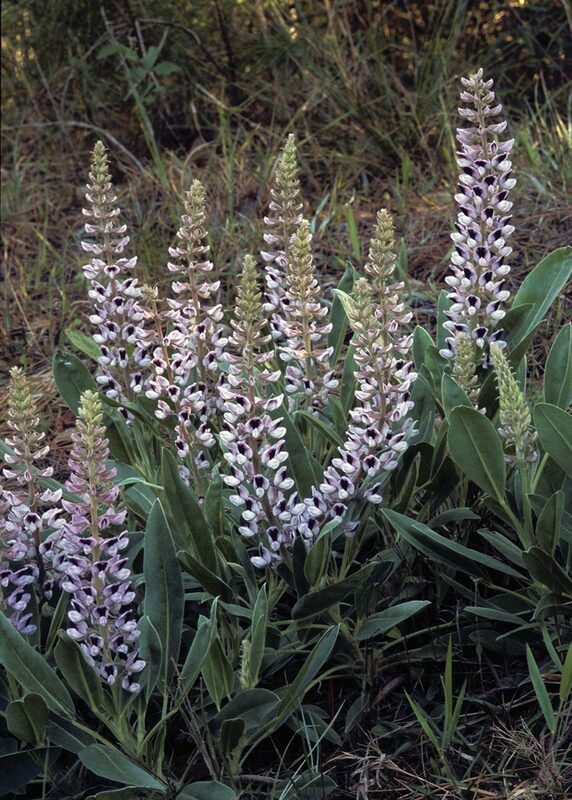 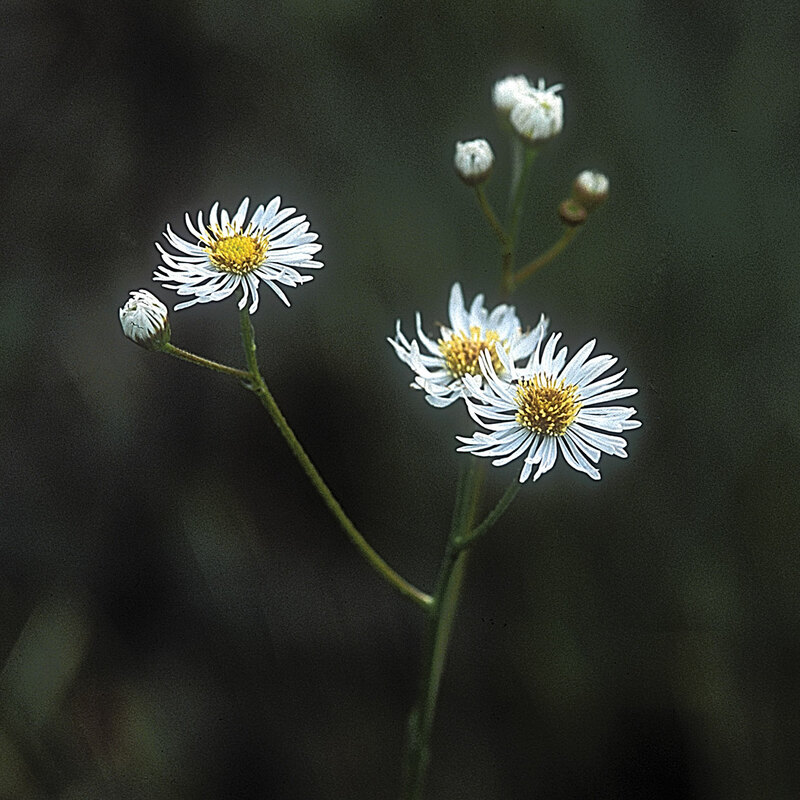 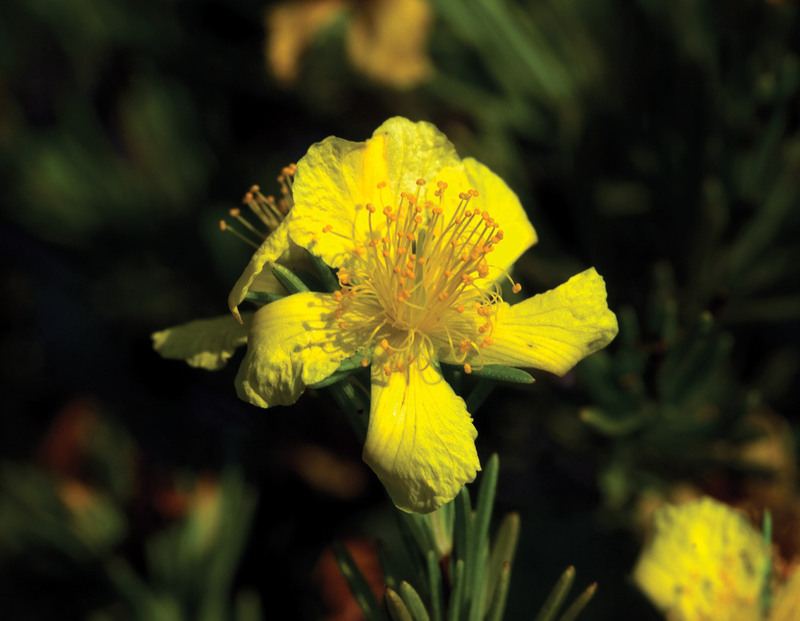 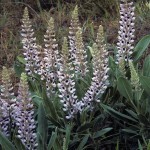 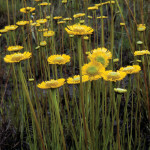 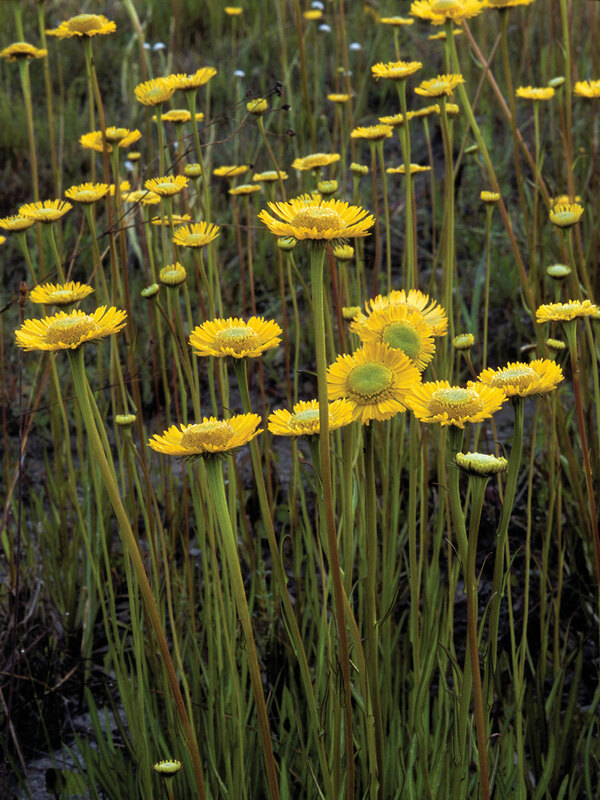 This wetland loving herb stands 1-3′ tall and prefers savannas and wet ditches. 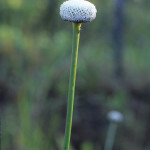 The stem is erect, whitish hairy, and supports a branching inflorescence. 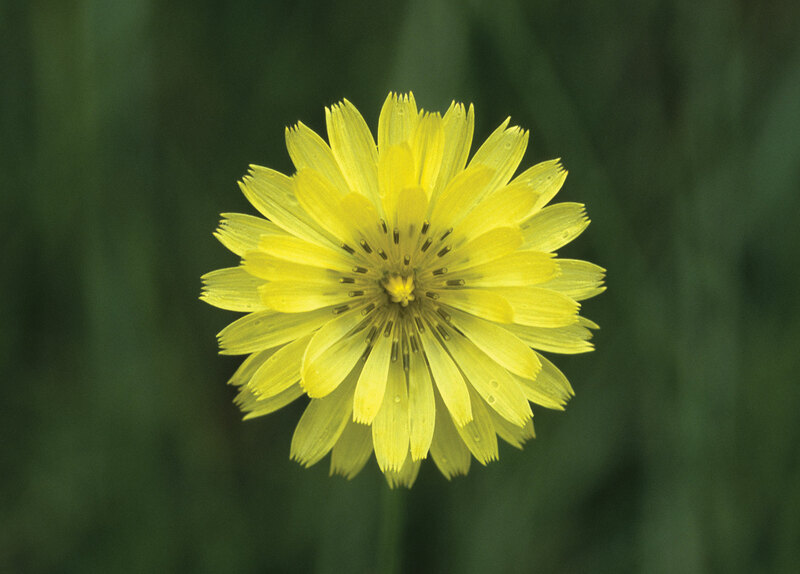 The scientific epithet aurea means golden, a fitting description of the flower color. 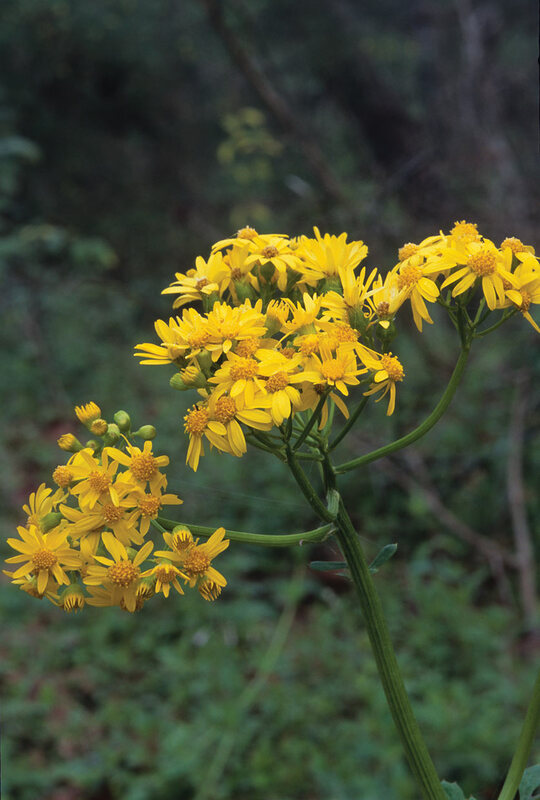 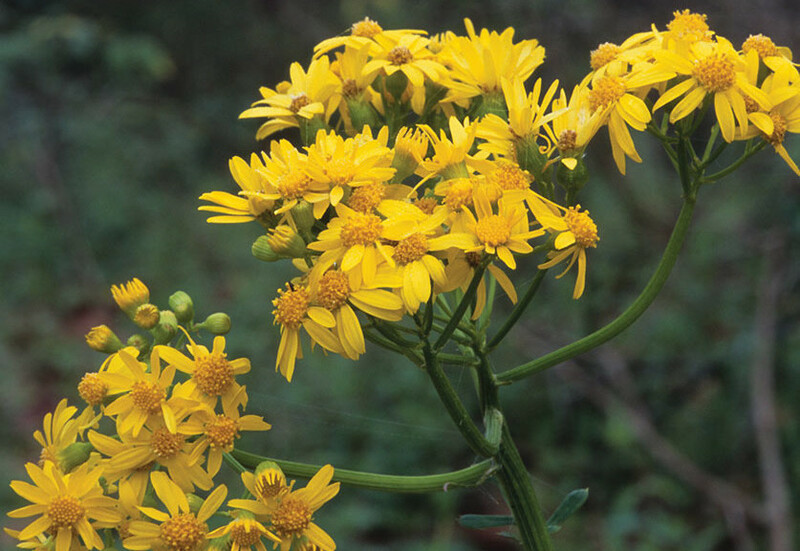 Butterweed is one of our earliest blooming native wildflowers, sometimes flowering as early as January. 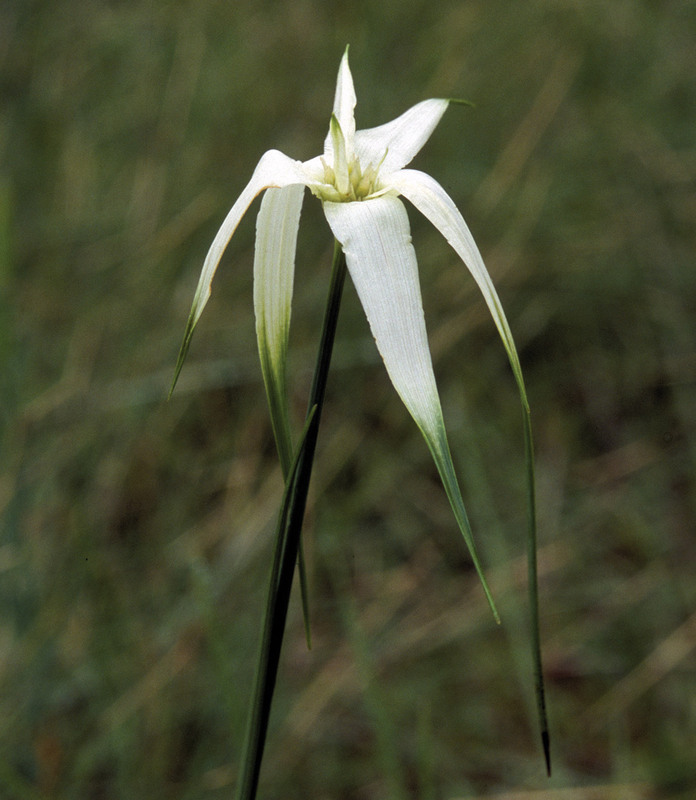 It stands about 2′ tall and prefers low roadsides and wet ditches. 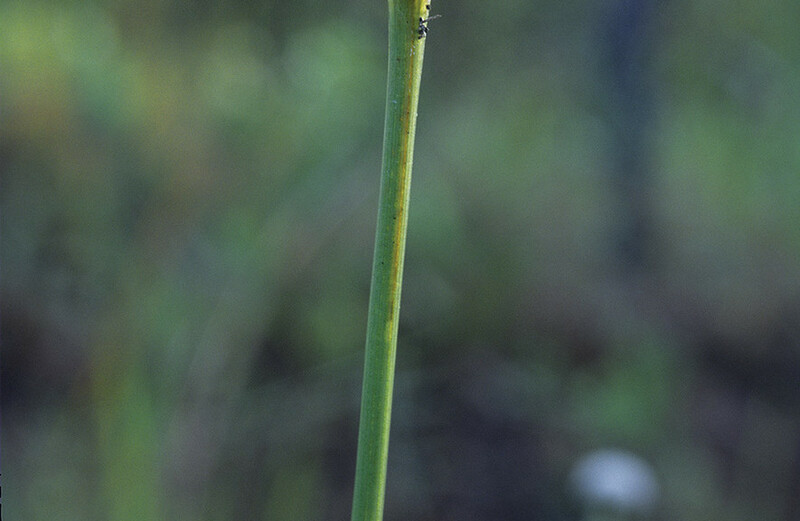 The golden flowers and deeply divided leaves are distinctive. 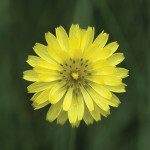 This yellow-flowered member of the Aster family begins flowering as early as February and continues throughout the spring, even into mid summer. 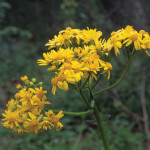 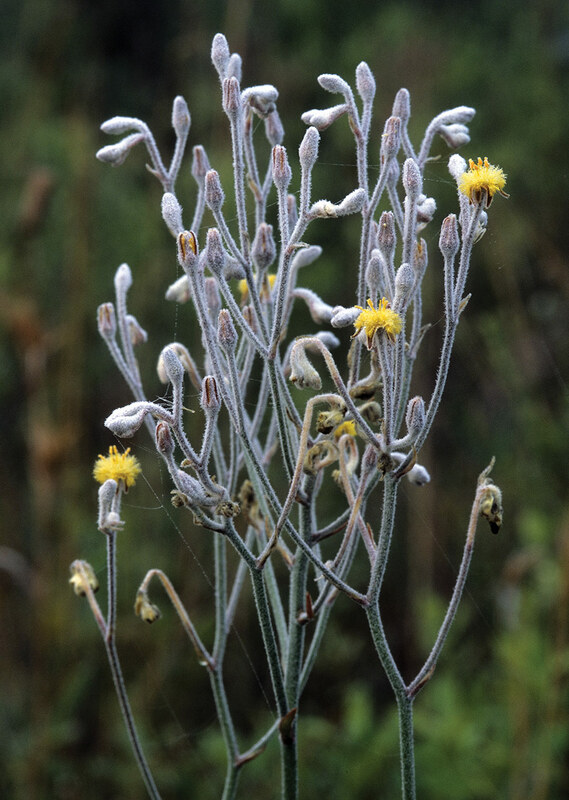 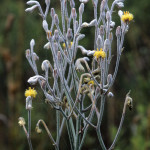 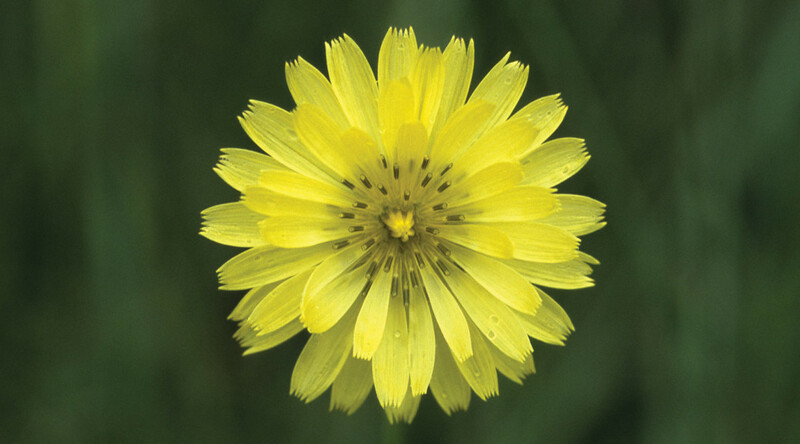 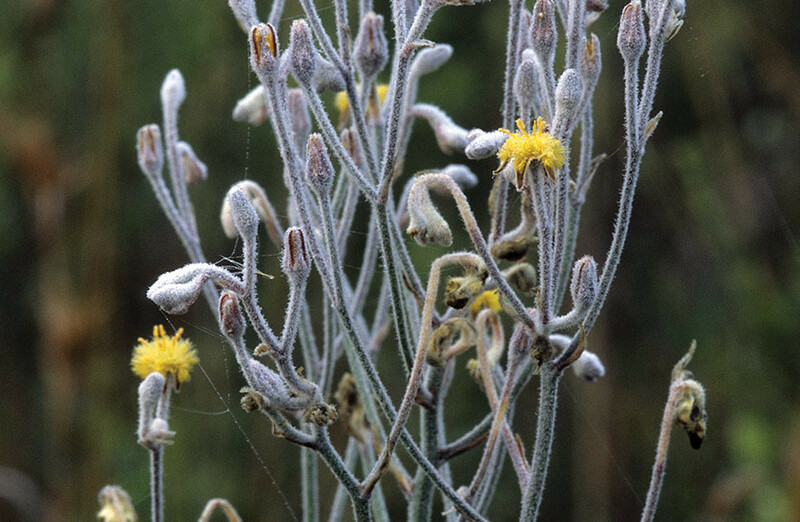 Its slender single stem is about 2′ tall and is terminated by a dense head consisting only of soft yellow ray flowers. 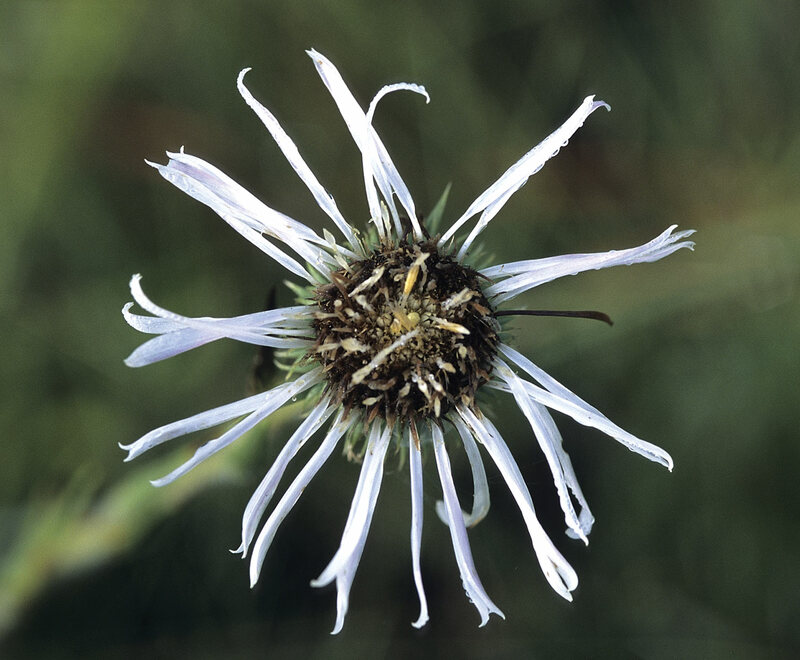 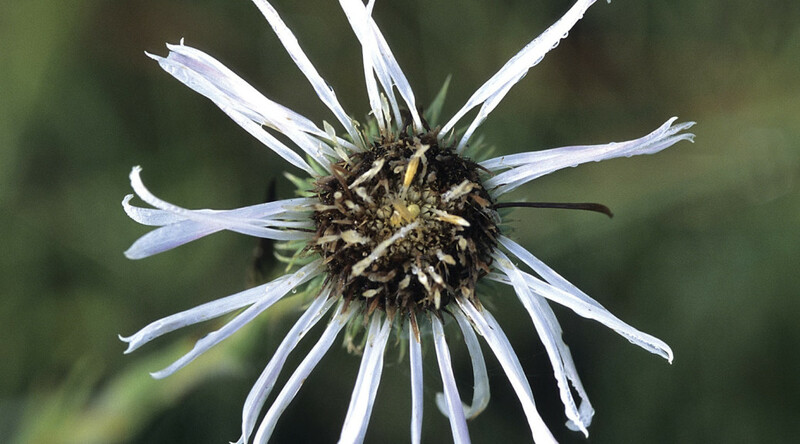 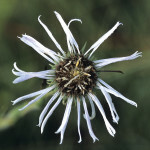 Unlike the Black-Eyed Susan and most other species in this family, the flower head lacks a central disk.